Betrayal has many faces, including anger, abuse, deceit, and infidelity. These feel like betrayal because they violate the implicit promise of emotional bonds, that your loved one will care about your wellbeing and never intentionally hurt you. If you've recently left a relationship where you felt betrayed by your partner—or if you want to repair one—it can seem impossible to view the world without the shadow of past betrayal hovering over you. As a result, you may struggle to create meaning in your life, find the strength to forgive, or build new, loving relationships. 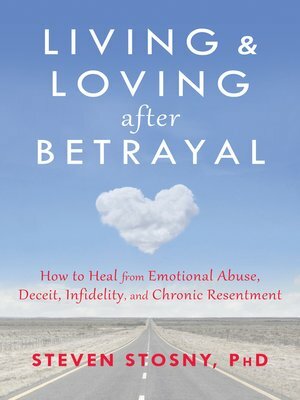 InLiving and Loving after Betrayal, therapist and relationship expert Steven Stosny offers effective tools for healing, based on his highly successful CompassionPower program. He founded the CompassionPower agency on the belief that we are more powerful when compassionate than when angry or aggressive, and that true strength comes from relating compassionately to others and remaining true to your deeper values. In this book, you'll learn practical strategies for overcoming betrayal-induced trauma and the chronic resentment and depression that result, using this innovative compassion-empowerment approach. Recovering from the betrayal of partner isn't easy, but Living and Loving after Betrayaloffers potent ways to heal, grow, and love again.